In October 1972 Robert joined the Royal Air Force as airman in Air Traffic Control, ranking as Leading Aircraftsman, his main duties were answering the telephone and making tea for controllers. This soon lead to boredom and so, in August 1973, Robert transferred to flying duties in Air Loadmaster branch, serving mainly on Wessex and Puma support helicopters in Northern Ireland during the Troubles and then Germany. In July 1981, Robert attended Commissioned Officers’ Course at Cranwell RAF College, graduating 10th out of 125, he ranked up to Flying Officer, which then led to specialist training as General Duties Navigator at RAF Finningley in November 1981. In March 1983, he graduated top of course and was posted as a Flight Lieutenant to Tornado GR1. Just over a year later Robert was posted to IX [Bomber] Squadron at RAF Honington and RAF Bruggen in Germany, where he was to spend the next 4 years in the 17 Squadron. 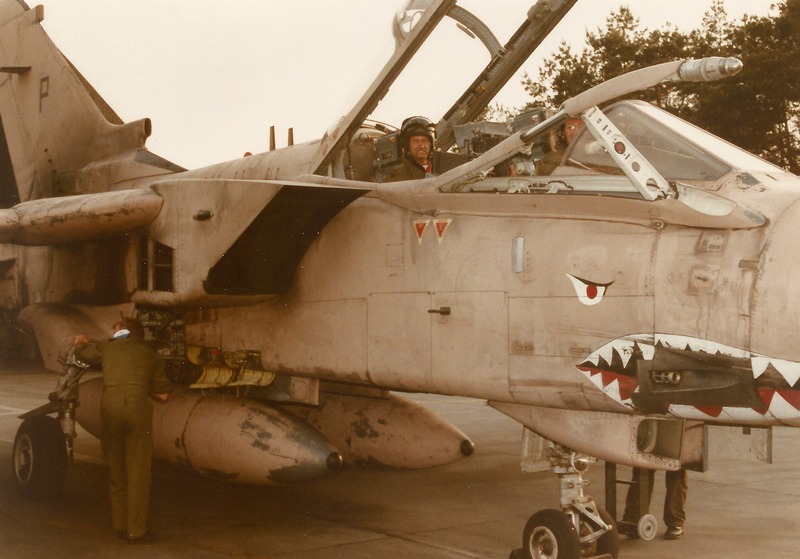 In July 1991, Robert was then posted to RAF Finningley as an Advanced and Basic Navigator Instructor, four years later he returned to front line on 31 Squadron back in Germany at RAF Bruggen. 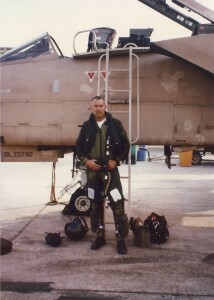 In June 1997, Robert was selected for instructional duties with the Royal Saudi Air Force in Dhahran, Saudi Arabia. In January 2001, Robert returned to the RAF service as a Squadron Leader and Senior Instructor of the 55 Squadron at RAFC Cranwell. This led to being invited to join the Battle of Britain Memorial Flight as a Lancaster and Dakota navigator. Then, in October 2004, he was appointed Air Support Operations Centre Commander, Headquarters Army 2nd Division, Salisbury Plain and two years later was appointed Air Adviser to Canadian General commanding Kandahar region, Afghanistan. In June 2006, Robert was appointed Officer Commanding B Flight, 55 Squadron at RAFC Cranwell. And finally, after a fulfilling and long serving career, in August 2009, Robert hung up his flying boots!